Kapverdische Inseln. 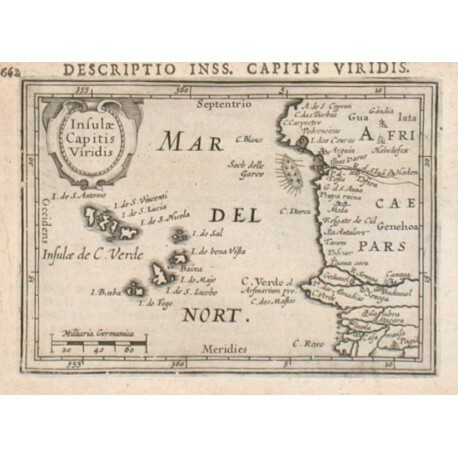 "Insulae Capitis Viridis". Copper-engraving by P. Bertius published by J. Hondius, 1616-18. With small ornamental cartouche and "Milliaria Germanica". 9,2:13 cm. Koeman III, map 8980:342, ed. 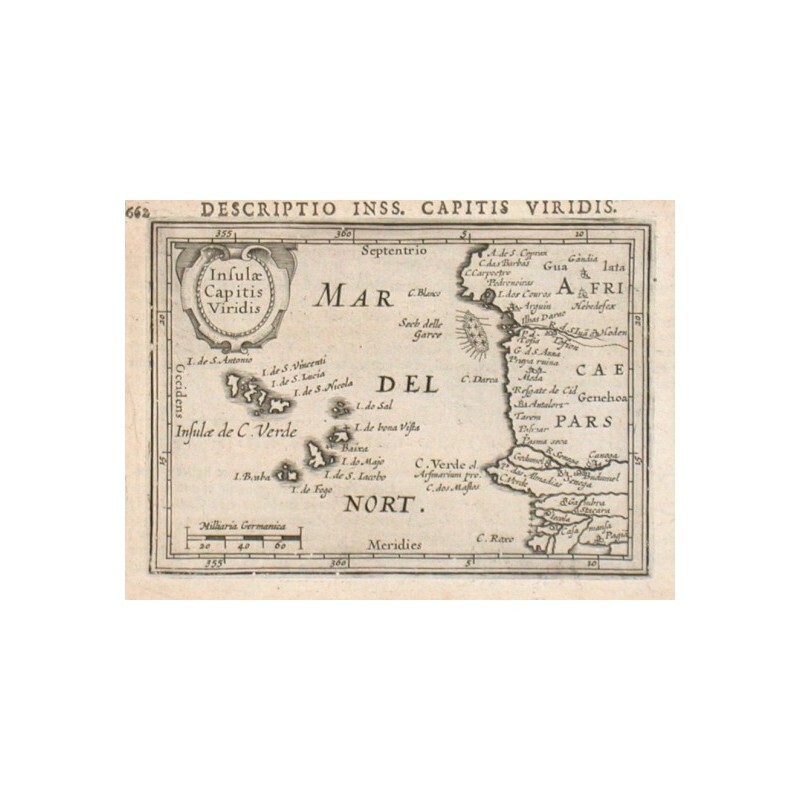 342:01 (1616/1618 Tabulae) - A miniature map of Cape Verde Islands.